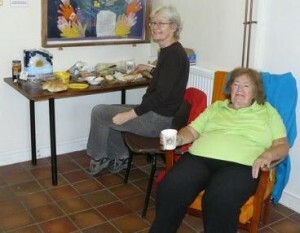 The main business of the weekend were the John and Dulcie Walker road races at Great Milton on Sunday. In the morning the 3rd and 4th category riders raced over 3.75 laps (100km/62mls) for the Dulcie Walker trophy. The Green Machine was represented by Tom, Rich (Cooper), new member Jorge and (briefly) Lance. Tom finished in the second bunch. The race was won by Roger Prior (Team Zappi). Local riders James Foster (Team Quest), Brendan Heaslip and Des Gayler (both Kenton RC) finished 3rd, 4th and 6th. The afternoon E123 John Walker trophy race was over 4.75 laps (75mls/many kms). 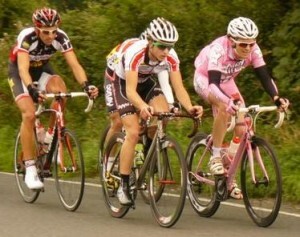 The race was won by David McLean (Team Frezza Pasta Montegrappa) in a sprint from a small group. David recently finished 3rd in the Tour of Sweden. A big thank you to Richie Jerome for stepping in as organiser, to Mark Doel and the comms and to all club members and friends who conspired to make the events a success. Gill Reynolds and I rode the North Hampshire RC 25m TT at Bentley (H25/8) on Saturday. Gill recorded a 1:7:03 and I returned a 1:2:25. The winner was Alex Dowsett (Trek Livestrong) in a course record 46:58. 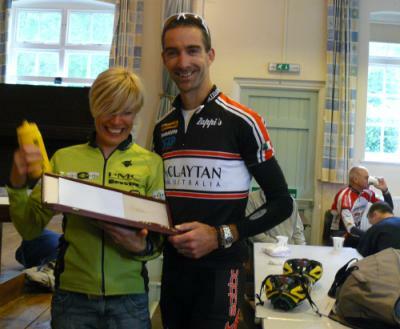 On Sunday Gill and Peter Dixon rode the West London Combine ’10’ at Great Missenden (HCC180). Peter came second with 22:53. Gill was second fastest woman in 27:07. The winner was Clayton Edge in 22:43. If you’re looking for a race next weekend, why not ride the Westerley CC club ’25’ at Great Missenden. The first rider is off at 8:30am. Let me know if you’re interested and I’ll let them know who is turning up. 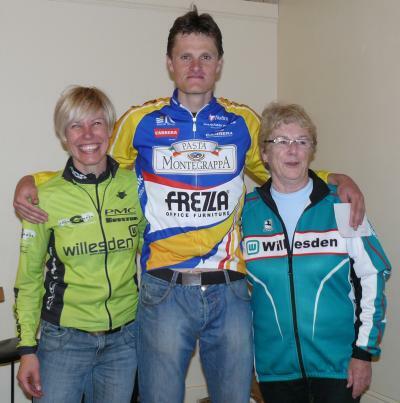 We’re nominating the Westerley CC hill climb on Sunday October 17th for the club hill climb championship this year. The Westerley have a 2-up ’10’ at Great Missenden at 9am, a slap up breakfast at The Deep Mill Diner, and then the hill climb on Longdown Hill at 11.30am. Please let me know if you want to ride either event or both.